America's current modelling sweetheart Gigi Hadid continues her stint with Missoni, and stars in the high-end label's Fall/Winter 2018 Campaign. Taking over from Kendall Jenner, who starred in Missoni's Spring/Summer 2018 Campaign, Gigi wears fashion inspired from Jamaica. 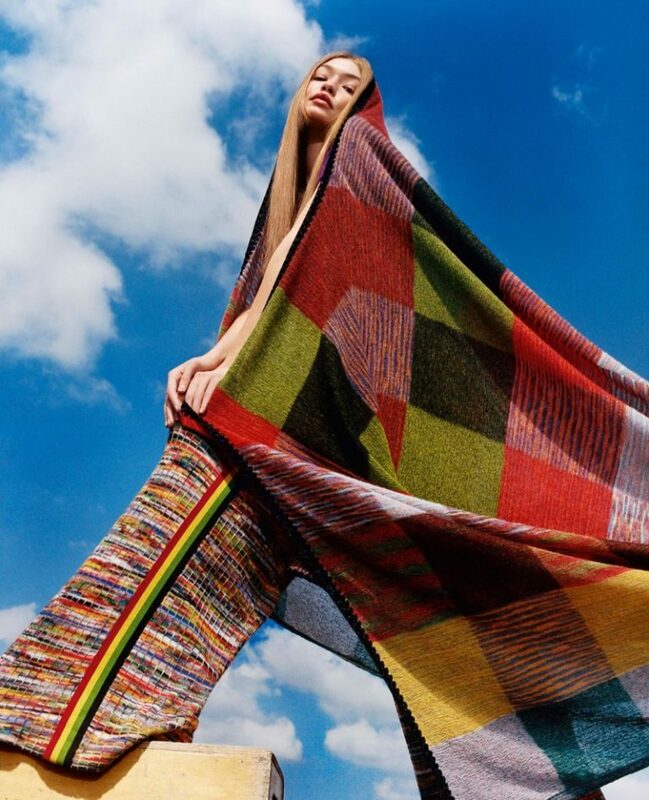 Lensed by Harley Weir, the supermodel sports a rock-chic attitude and flaunts bright stripes, patchwork designs and heavy knits. Also bringing the wide-leg trousers back in vogue, Gigi is styled by Vanessa Reid, and sports a sleek hairdo and a natural makeup.